So, when I was allowed to pick some place to go :) I picked to go to the Underwater Aquarium at the Mall of America. 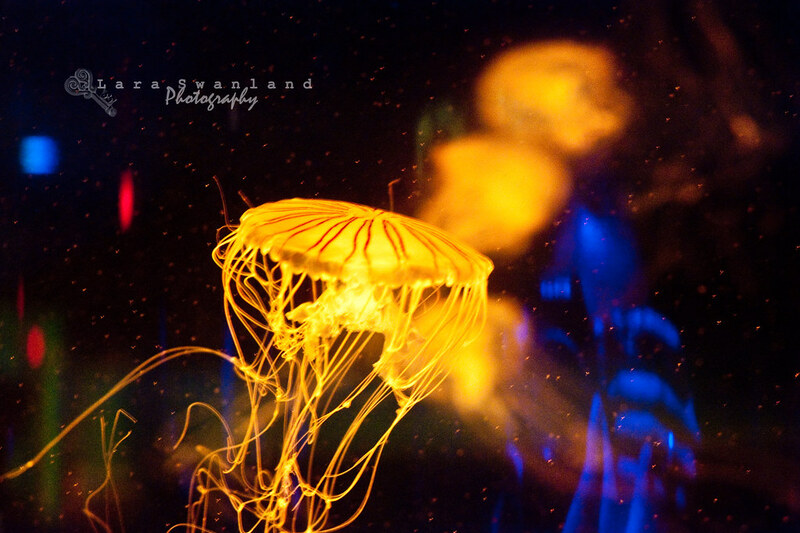 There, they have a Jelly Fish exhibit that is... simply almost as if you are walking into a room full of aliens. What was nice was I got to play with the D700's amazing ISO ability. 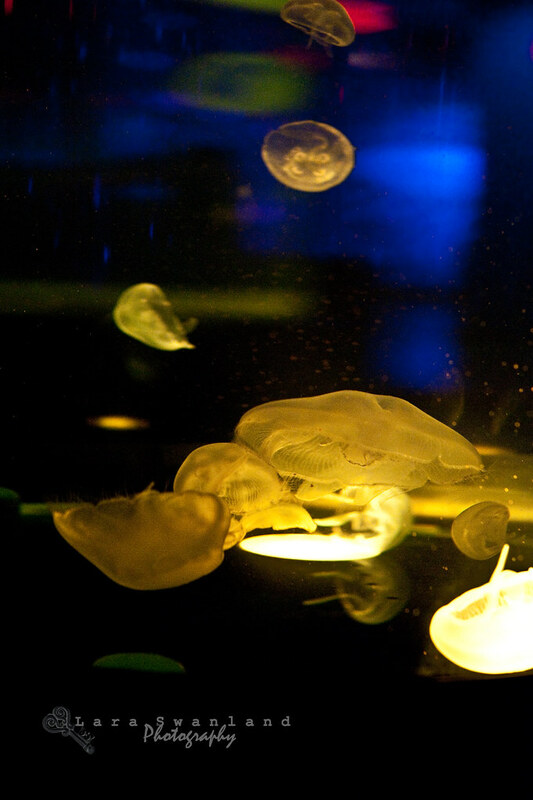 The Jellyfish were in tanks that changed colours periodically. If I ever open a spa, the pulsing of Jelly Fish is extremely soothing to watch! I loved this one because you can sorta see my reflection with the camera. 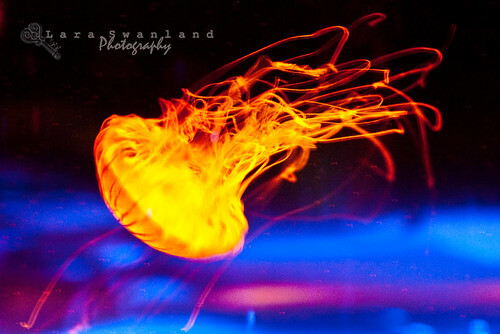 Apparenlty to keep your own Jellies you need 1.) A tank with constant current in it. 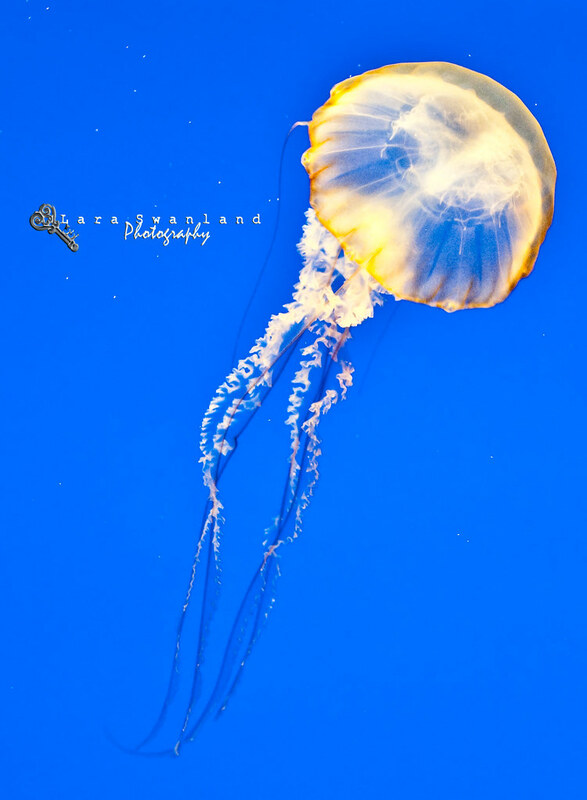 Jellies don't have a lot of density and can't live in still water very long (think ocean thrashing to and fro). 2.) Lots and lots of krill and 3.) the perfect salt water skills. It's so easy to kill a jelly because of the 98% made of water factor. Frustratingly when you don't have a tri-pod, the best shots are often missed, but... for the amount of light that was in that display... and the lack of my external flash unit... I am pretty pleased with how this turned out.